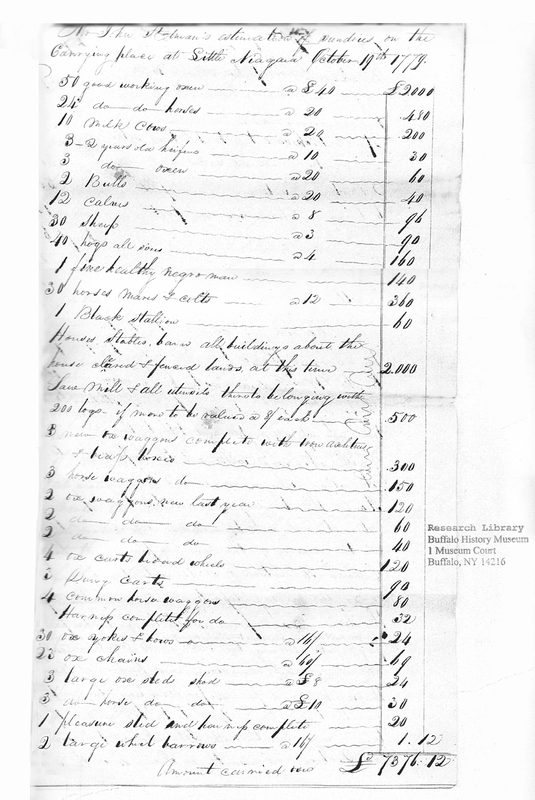 Summary: An inventory of items owned by John Stedman that he was enumerating to prepare for the sale of his business in Niagara before returning to England. 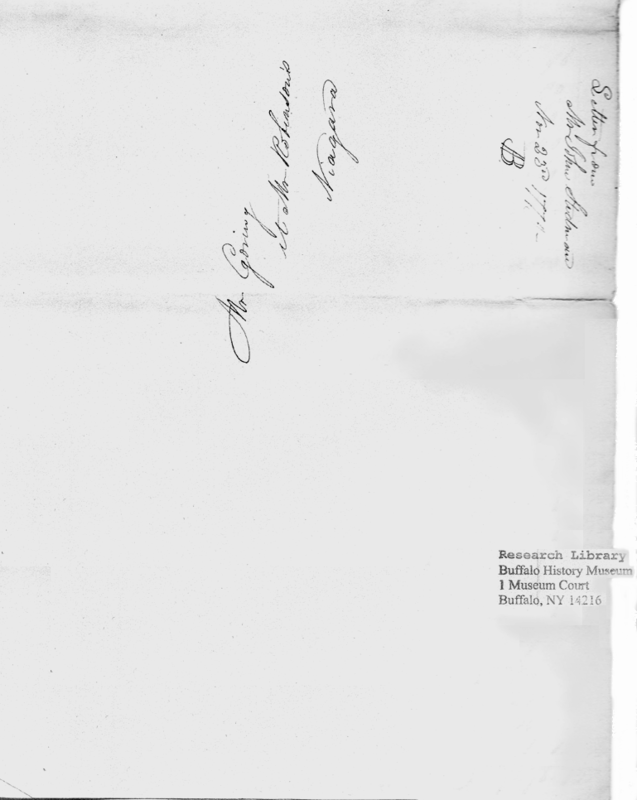 Written in his own hand and held at the Buffalo History Museum. Note the man he owned. Carrying place at Little Niagara October 19th 1779.